Funny seeing you here on a Wednesday. This week, seeing as we are about halfway through the release of the Bake Shop Blanket Series (6 down, 6 to go for a total of a dozen – see what I did there? ), I thought I’d release a video tutorial on the traditional granny square that I will be using as a filler for the blanket. 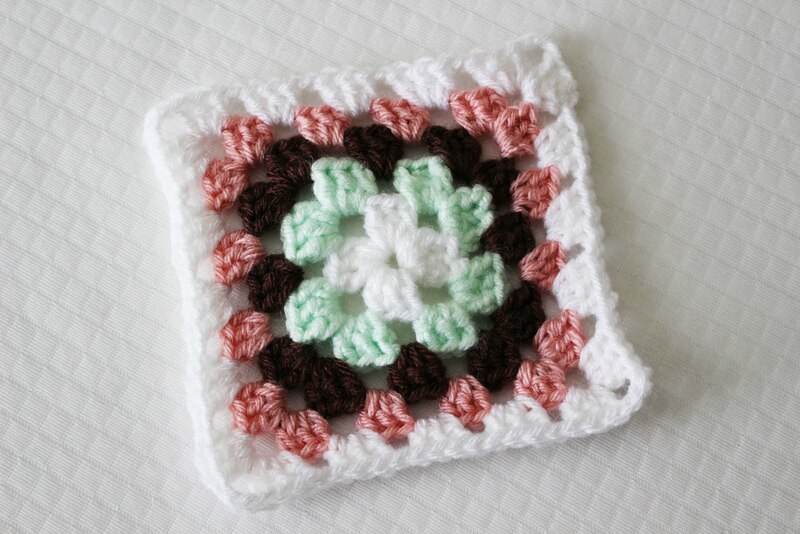 If you already know how to make a traditional granny square, go ahead and get going on these! If you need a refresh, need to learn to make grannies, or want to be absolutely sure it will match your other Bake Shop squares as far as sizing… watch the video tutorial below! *In the video & photos I changed colors after each round, but you are welcome to color change as you wish or make the entire square a solid color! Be sure to see my video on how I change colors on a granny square! Be sure to check back on Friday for the next bake shop square!